Special thanks to JAMS and Editor Richard Birke for their gracious permission to reprint this article which was originally published in JAMS Dispute Resolution ALERT, Vol. 9, No. 2, 2009. Of all of the cases I have mediated over the past	30 years, the most challenging and rewarding disputes	have been those	between	family members over family	property, estates, trusts and businesses. Brothers	and sisters may	fight over partnership property,	but they are really sorting out	old issues of sibling	rivalry	and dominance. Once a patriarch or matriarch of a family has given up control or passed	away, adult	children are often left	in a position of ambiguity	or, worse, contrary beliefs about their	rightful role. Disputes surface that are usually less about malevolence than about conflicting feelings, misunderstandings of	intent, divergent expectations,	and resistance to	change or unspoken fears. The tremendous financial cost of litigation is only	one downside of	an intrafamily lawsuit. Court pleadings and proceedings	are public. One of the	principal	advantages of private mediation over litigation	of	sibling	and intergenerational family disputes is the confidentiality provided in keeping family fights from the public eye. The light of publicity often cements positions and makes compromise more difficult. There are, of course, other advantages of working out a settlement among warring family factions, including reconciling differences and healing. Courts are limited in the remedies they can impose and framing family disputes in legal terms inhibits the parties’ ability to invent or accept creative solutions. Litigation rarely heals differences or promotes understanding. I would like to share with you four case scenarios based on family conflicts that I have mediated and what can be learned from them. While names and identifying characteristics are omitted from the stories, they shared something in common. Each involved high stakes for the participants and consequences that would be irreparable if the dispute were not constructively resolved. Two brothers, Sam and Sid, became involved in real estate in the Santa Clara Valley when it was still known as a center of agriculture, before becoming the Silicon Valley. In the early 1960s they befriended an older couple who owned fruit orchards in Sunnyvale that the couple no longer wished to manage and did not know how to develop. In exchange for their value-enhancing initiatives and efforts, Sam and Sid took a piece of the action in the form of partial ownership in the apartment houses and strip malls they developed for the burgeoning population of Silicon Valley. As they aged, the brothers began to argue about the properties they eventually owned between them as partners. Sam, the older brother, wanted to conservatively manage the appreciated properties and pass them on to his children unencumbered. Sid, the younger brother, wanted to leverage the properties with new developments to create greater value in a vibrant market. Sid unilaterally mortgaged his share and created liens on the property that threatened Sam's desire for stability and financial security. Sam viewed this as a betrayal of trust. Sid viewed it as a sound financial move necessitated by Sam's conservatism and insensitivity to the needs of Sid's younger family. A suit for partition of the properties was filed by Sam, and the attorneys for each of the brothers recommended that the dispute be brought to me for mediation. During the mediation I repeatedly asked "Why did Sid feel the need to mortgage his half? Why did Sam consider this a betrayal?" The brothers listened and, at least in part, seemed to understand the other's perspective. It was agreed that Sam would propose a division of the properties into two bundles of relatively equal value, and Sid, the younger, more aggressive brother would choose. The approach was similar to the classic parents' tool of allowing one child to cut the apple and the other to choose one of the two pieces. This simple distributive technique worked, and a tax bonus resulted from their cooperation on the timing of the exchanges. The needs and interests of the two brothers were different, and they were each able to actively participate in the resolution and get substantially equal shares of the property in a way that fulfilled their differentiated needs. (Sam was quite proud of creating a division that offered more development potential in one bundle and more secure rental income in the other property grouping.) Both brothers got what they most valued. This case was really more about Sid's desires to be free of control by his older brother and to validate his independence. Sid had a strong need to enlarge his holdings and provide more for his growing family. Sam was able to acknowledge that the brothers' needs were not the same and to take an active role in structuring the division of the properties to meet the brothers' tolerances for risk. This outcome and the process used to achieve it also allowed the children of Sam and Sid to put aside their fathers' dispute and move on with their own family relationships, independent of joint ownership and the tension of their fathers' sibling issues. Had the litigation proceeded, the next generation of cousins would have been drawn into the dispute, their relationship burdened with their fathers' conflict, and their inheritances diminished. Each of the brothers was able to pursue his own aspirations and the needs he felt most important for his family. The attorneys had the benefit of satisfied clients and the prospect of continuing work for the next generation of each family branch. It was perceived by all as a good set of outcomes. An immigrant laborer in the 1940s, Casey, worked at construction sites as a hod carrier (mason's assistant). Mixing cement and mortar on-site by hand was slow and labor-intensive. Casey improvised various mixing devices driven by small motors that saved time and labor and resulted in a better quality mortar mix. With financial backing from a contractor for whom he worked, Casey eventually obtained several patents for his portable mixers and created a company that manufactured cement mixers. The company succeeded and grew. In time, it was a closely held corporation that supported the families of Casey's four children, his brother Sean, his sister Patty, and three nephews. Fol lowing Casey's death in the 1990s, the company, which produced net income in excess of $10 million a year, was managed by Sean, as CEO. Sean had extensive management experience and had been close to his deceased brother. The other family members had corporate shares held in various trusts and seats on the corporate board. Tension existed between Casey's children on the one side, and Sean, Patty, and their children on the other (although the line of who was on whose side was not always clear). Outside acquisition offers for the company had been opposed by management and the rejection decision was confirmed by close margins on the board of directors. Casey's children were upset by the rejection of the offers and felt that Sean's resistance was influenced by his desire to retain his CEO position and company perks. Casey's oldest son, Marty, was particularly vocal about his objection to management and made statements at corporate meetings and by e-mail accusing his uncle Sean of mismanagement, theft, and company exploitation. Casey's four children brought a minority shareholders' action in federal court, and Sean cross-claimed against Marty for libel and slander. During the mediation, the tension between Marty and Sean was palpable. In the joint session Marty was vehement about what he thought were acts of mismanagement and lost company opportunities that he was sure would cause his father "to roll over in his grave." When one of the other siblings indicated that their father would be most disturbed by the discord in the family, I noticed what seemed like agreement by several around the table. After the initial joint session of all parties and multiple attorneys, I asked if any one would object if I met privately with each shareholder. In the caucus session I had with Marty, he confided that he had expected to head his father's company in which he had worked before going to school as an engineering student. He viewed his uncle Sean as an interloper who did not appropriately credit his father Casey's role in creating a company that significantly improved masonry practices. Sean shared with me in caucus that his brother Casey had misgivings about any of his children managing the business because they had shown little interest in the company and each had other life goals. Sean also believed that he, unlike his nephews and nieces, understood Casey's dream of keeping the company under family ownership to perpetuate the family name and fortune. Further discussions revealed divisions between Casey's children. Two of the children wanted to remain shareholders and two wanted to divest their shares. All four had joined in the lawsuit because they did not want to cross Marty, their older brother. A settlement was reached in which a company value would be determined with the help of outside expertise. The method of selecting the evaluation consultant and an alternative evaluator, as well as a timeline, was agreed on. If two or more shareholders objected to the initial evaluation, the alternative evaluator would reach an independent evaluation and the two evaluations would then be averaged. Based on the determined company value, a share surrender value would be set. The corporation would borrow as necessary to purchase the shares of any of the founder's children wishing to sell and all pending litigation would be dismissed. Casey's oldest son, Marty, and Casey's sister, Patty, agreed to collaborate in writing a history of the company, which would be printed and posted on the company's web site. Peace prevailed. This case supports the mediation maxim that if you cannot resolve the dispute at its own level, you must learn what underlies the conflict and help fashion a settlement that meets the underlying interests. A very successful wine and grape broker, Tony, who had been a dedicated husband and father of two pre-adolescent children, built a grape brokerage business that produced an annual net income in excess of $500,000 a year. The family had not been religious, but Tony became increasingly involved in a personal quest that led him to a spiritual community headed by a mystical eastern guru. The spiritual community had a compound located a couple of hundred miles from where Tony’s family lived. The community was supported by grape growing and the sale of books and records it produced, as well as monetary contributions from its followers. Tony was spending more and more time at the spiritual conclave. He made several significant monetary contributions to the to the community and was appointed chief financial officer (CFO) of the winery. Tony’s wife, Maria, a public school teacher, was very concerned that Tony would give away the brokerage business to the spiritual community. She was also worried that he might involve their two children, ages 10 and 12, in his new spiritual group activities or attempt to indoctrinate them. Maria filed a petition for divorce and obtained a temporary restraining order preventing Tony from transferring any business or family assets and restricting his visits with the children. Tony was incensed by Maria’s mistrust and the restraining order. The restraining order not only interfered with his continuing relationship with the children, it also hampered his financial management of the brokerage company. Tony and Maria, who were no longer speaking, were each represented by capable attorneys who recommended mediation. Tony was surprised with what he felt were false impressions. After further discussion, Maria agreed to visit the spiritual compound to make a personal assessment about the lifestyle and values manifested there. This visit dispelled her worst fears and improved communication with Tony. A division of marital property was agreed upon which allowed Tony to retain sole ownership of the brokerage business and Maria retained the family home and other assets, totaling approximately one half of the marital estate. In addition to spousal and child support, irrevocable trusts were established for the children that generously assured their college education. A parenting plan was prepared by which the children primarily resided with Maria and were with Tony every other weekend, as well as one night a week. Holidays and summers were split. It was stipulated that the children could participate in a family activity week at the spiritual center during the summer, but otherwise would not be involved in the spiritual community. The plan terminates when the children turn 16 and can make their own religious and spiritual choices. This case illustrates the importance in resolving disputes by stating assumptions and fears so they can be assessed and addressed. After learning of Maria’s worst fears, Tony was able to accept a financial and parenting plan that helped alleviate Maria’s fears and allowed him the parental role he wanted. Because mediation outcomes are consensual, you get what you want and feel you need only if your counterpart gets what they want and need. The task in mediation is to help solve the other side’s problem as the means of solving your own problem. Two brothers and a sister inherited in equal shares a stunning seaside villa in Southern California that had been built by their grandfather as a family retreat. The middle sibling, Jack, purchased the one-third ownership of his younger brother, Bob, making Jack two-thirds owner and his older sister, Ann, a one-third owner. Bob had offered to sell his one-third equally to Jack and Ann but only Jack had the financial resources to make the purchase. He received a substantial salary as the CEO of the successful business started by their grandfather and had invested well. Ann had a Ph.D. in business management and was a widowed college professor. Jack and his grown children lived in Southern California within driving distance of the villa. Jack's work responsibilities made it difficult to plan use of the villa much in advance, and he particularly liked the freedom to meet his children and friends there on short notice. Ann, who lived on the East Coast and whose three children and grand children all lived outside of California, only used the villa in the summer and during school holidays with much advanced planning. Ann paid one-third of the considerable property taxes and upkeep on the villa, which was managed by Jack, and she expected use of the villa one-third of the time, scheduled a year in advance. In addition to friction over scheduling the use of the villa, Jack wanted to renovate and "update" it, which would require substantial expense because of coastal zoning and building restrictions. Ann was happy with the villa as it was, could not readily offer to pay one-third of Jack's proposed remodeling plans, and did not trust Jack's taste in "remodeling." The tension over scheduling and the standoff over the remodeling work left Jack and Ann not speaking. Jack wrote Ann that he was prepared to buy her one-third ownership (valued at millions of dollars) or pay for all of the remodeling himself and allocate her one-third of the use as he felt was reasonable with as much notice as practicable. On the advice of their lawyers, Ann and Jack agreed to mediation. Although I prefer joint face-to-face mediations, at least at the outset, Jack and Ann chose not to meet together for reasons both emotional and practical. During the course of the mediation, conducted in separately scheduled meetings with me and extensive telephone follow-ups, the possibility of dividing the multi-acre property and its several structures was discussed. A legal "partition" would have been messy, expensive, and probably would have resulted in Jack buying Ann's one-third at market value. The market value would be difficult to determine and contentious beacause of the uniqueness and size of the property. Ann could not purchase anything comparable or as suitable for her large family for one-third of the villa's value. The increase in property taxes for Jack on the purchase of Ann's interest would be horrific, and Ann would have to pay capital gains tax, which would consume a considerable part of her sale proceeds. Just as important an impediment was their mutual desire to hold onto their family heritage and pass on to their children and grandchildren the fond memories they had in family use of the villa. In separate conversations it was revealed that Jack felt Ann did not appreciate that he "saved" the villa from outside ownership when he stepped forward to purchase their younger brother Bob's one-third share when Bob felt the need to sell, nor did she acknowledge his generosity when he offered Bob the continued use of the villa during Jack's time without charge. Ann felt that Jack pushed Bob to sell so Jack would have majority control and did not pay Bob full value. Jack also felt he was being magnanimous in the time-consuming process of managing the property skillfully, securing necessary services and accounting to Ann, all without compensation. Ann thought Jack enjoyed control of the villa detail and did not account thoroughly for the expenses she was charged. Jack felt unreasonably hampered by having to give notice months in advance of his summer use. Ann felt she was unreasonably disadvantaged not being able to plan family gatherings at least six months in advance. And so on. In our discussions, it emerged that Ann felt her father nurtured Jack to run the family business, despite her being the oldest and earning degrees in business, because he was the oldest male. Jack felt that he was obviously the most qualified to run the business and that Ann was more academic than practical. She had chosen to travel and pursue advanced degrees when he went right to work gaining helpful experience following his undergraduate education. Both Ann and Jack expressed their desire to pass on to their children their ownership and use of the villa, al though they were aware of the increased complexity in expanding numbers of successive generations sharing the property. I discussed with them the importance of the example they provided to their children and the need to model cooperation. They began e-mailing one another messages we had separately discussed and then talking together on a three-way call with me. With well-received coaching, they communicated their common goals for their children's continued use of the villa and desire for their children to interact together. It was clear they had a deep, if strained, affection for one another. They accepted my suggestion that we involve their children in the discussion by convening a meeting with me and one or more of their children representing each sibling group, after each side had talked further among them selves. The face-to-face meeting included one of Ann's children and one of Jack's along with Jack in person and Ann by telephone. The children both confirmed their desire to work out a sharing protocol and not perpetuate their parents' dispute. Each of the children articulated their parent's concerns and frustration, which they shared, but not in the same emotional way as their parents. They listened to one another, viewed the situation as a problem to be solved, engaged with me in prioritizing their interests, participated in brainstorming, and outlined a proposed property sharing protocol with choices and timelines. The children modeled motivated collaboration and problem solving for their parents. Both families agreed to discuss the proposed sharing arrangement including, among other terms, confirmation of the two-third to one-third cost allocation, Jack's authority to remodel without Ann's approval within defined limits and if building permits were not required, and Ann's one-year advanced reservation of any three consecutive weeks in July or August, with Jack's family having priority the rest of the summer. It was agreed that non-summer, non-holiday time would be open for week-by-week reservation through the caretaker, including use by "Uncle Bob" during the frequent times that Jack's and Ann's families were not in residence. They also agreed that Thanksgiving would remain open for all three families to share and that all would be encouraged to do so. The proposed protocol terms were tweaked and confirmed through e-mail exchanges with copies to all immediate family members and concurrence by Ann and Jack. It was also agreed that the protocol would be reexamined in two years and mediation scheduled, if necessary. I received word that Thanksgiving was a copacetic occasion at the villa with Ann, Jack, Bob, and all three fami lies well represented. This case illustrates the benefit of bringing in others with a stake in the outcome but who did not create the problem. In commercial cases this usually means going up the chain of command. In family matters it may require going down the hierarchy. These scenarios illustrate that family property and financial disputes, whether presented in the context of a suit for partition, a corporate fight, or a probate or trust case, are matters of the heart and the law. They present challenges for how emotions and family dynamics are to be weighed against and balanced with legal rights and obligations. A judicial decision or legal mandate may not address the underlying family conflict or fully resolve the dispute. The desire to resolve the conflict and preserve the family relationship is deeply embedded. In most family disputes there is a dissonance between wanting to win by being proven right and desiring to make peace within the family. The role of the mediator is to help the peace motivation prevail. The participants in a family property or money dispute are more likely to reach a satisfactory agreement by talking and exploring options with the help of a mediator than they are by going through a judicial procedure in which a decision is imposed on them, whether by judicial decree or by an outcome negotiated by their lawyers. Blame and anger beget blame and anger. In mediation blame and anger can be lessened through understanding, and the parties are encouraged to develop a commitment to the process and to the agreement that they structure. 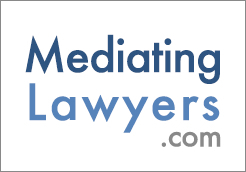 Mediation is a proven way to avoid the long-term adverse consequences of litigating family property, inheritance, and trust disputes. Jay Folberg is Professor and Dean Emeritus at the University of San Francisco School of Law. He is coauthor of Resolving Disputes, Theory, Practice and Law 3rd Ed., Aspen Publishers (2016), as well as other books on ADR. Dean Folberg is a mediator with JAMS and served as Executive Director of the JAMS Institute from 2003 - 2015.